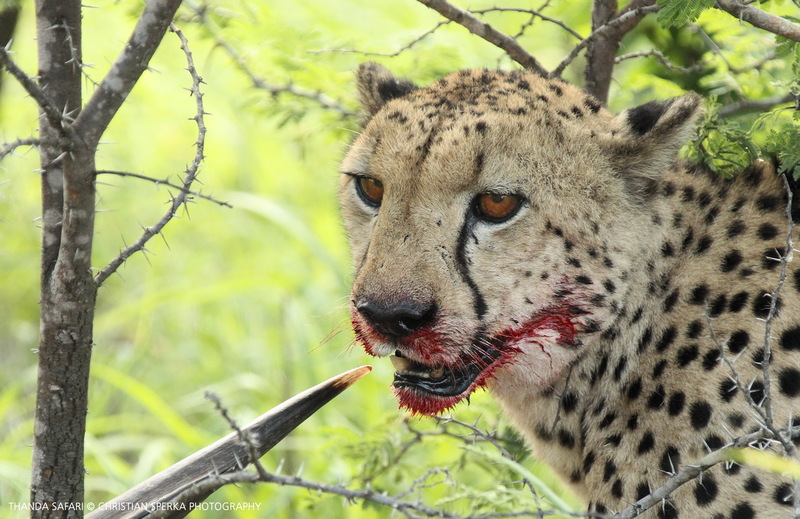 To see Cheetahs feeding on a kill is an infrequent sighting, as these large cats usually eat quickly and then leave the remains of their prey to other bush creatures. But seeing them killing an animal right in front of you is very rare, indeed. 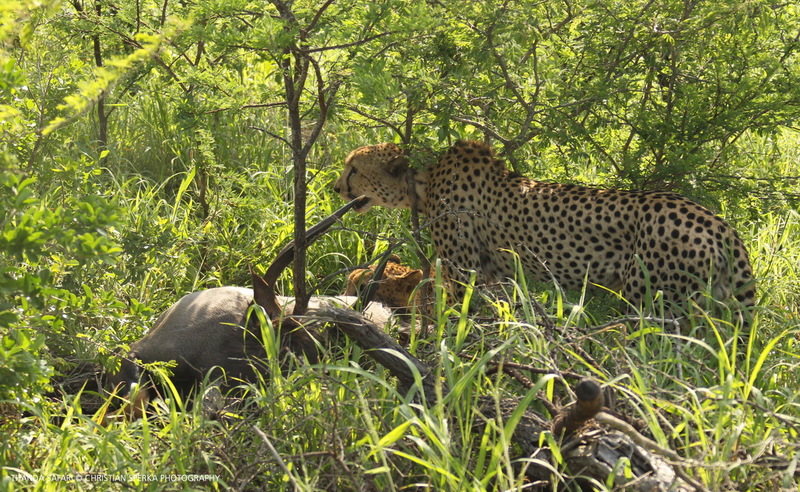 Yesterday morning was the second time I ever observed these fast cats taking down an antelope. 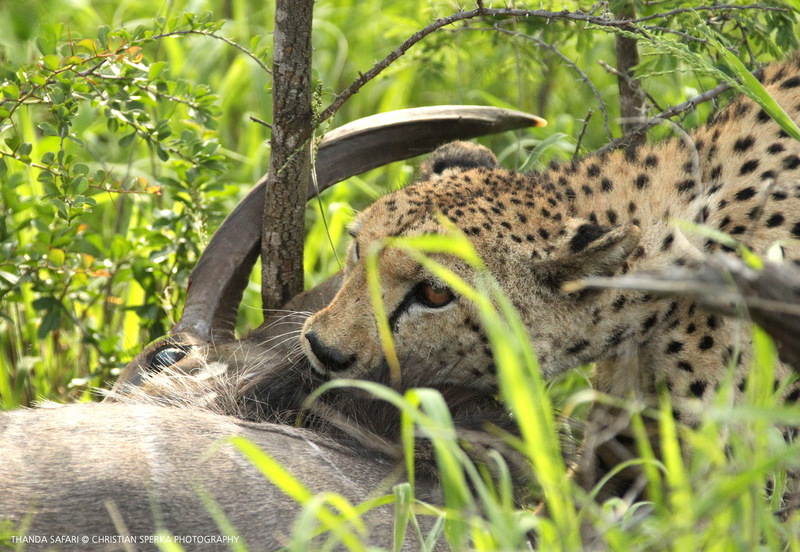 Thanda’s Cheetah brothers chased an Nyala bull and killed him right in front of our vehicle. Unfortunately I was driving at the time, following them over a hill crest, so I got no pictures of the actual kill, but I got a few picture before and after the take-down. 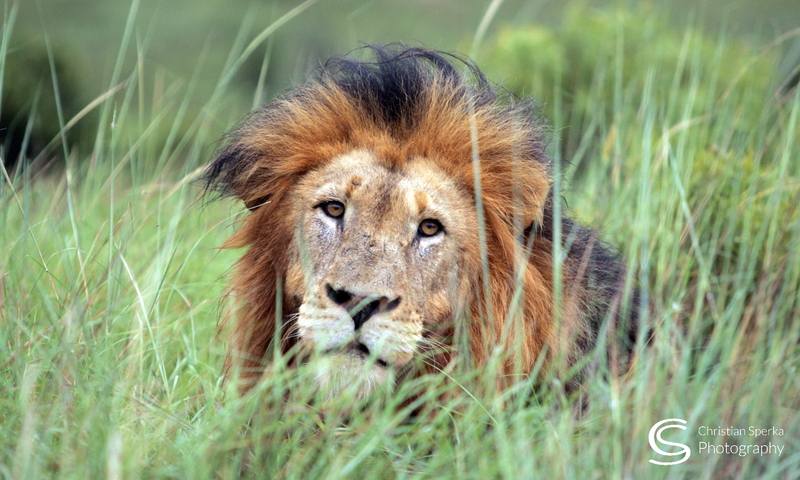 The Thanda Safari guests on this evening game drive were very excited about this very special sighting! The chase and the kill!